Which of these computer games was the first to ship with baked-in DRM/copy protection? Recognized as the first work of interactive fiction and the precursor to modern adventure games, the text-based 'Colossal Cave Adventure' (also known as ADVENT or Adventure) was released in 1976, updated in 1977, and ported by Microsoft as 'Microsoft Adventure' in 1979 to run on the Radio Shack TRS-80. 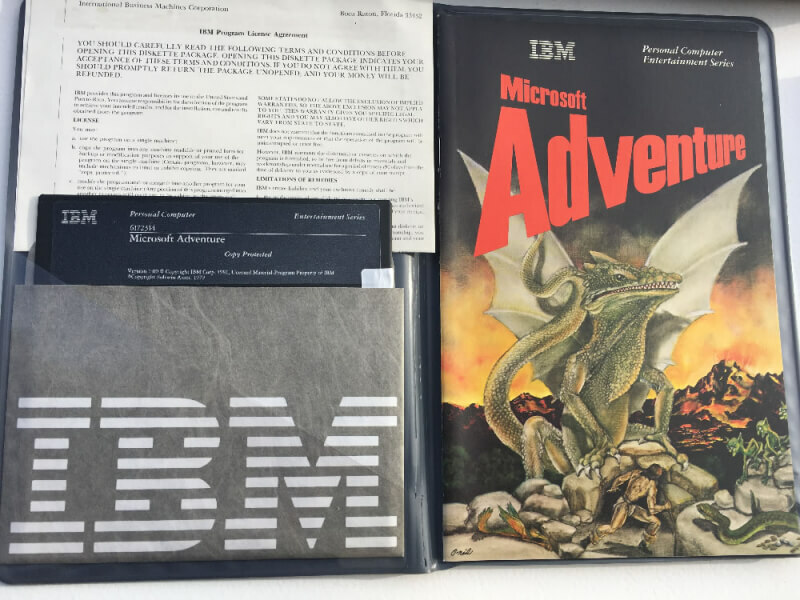 'Microsoft Adventure' is credited as being the first full port of Adventure, the first major game to be released exclusively on 5.25" floppy disk instead of the commonly used cassettes of the day, and it was among the earliest instances of a PC game shipping with copy protection, if not the earliest. The scheme worked by distributing the game's data across abnormally numbered disk tracks, so the TRS-80's operating system needed special instructions to read the Microsoft Adventure disk. It wasn't long before an Australian teenager named Nick Andrew managed to crack and copy the game.